Are You on the Wrong Side of History for B2B Technology Marketing? A few days ago I read a blog by noted IT entrepreneur, Venture Capitalist, and blogger, Ben Horowitz, about “Can-do vs. Can’t-do” cultures. It struck a chord with me on a lot of levels. The blog asks why it is so in vogue these days to be a naysayer and criticizer about new technologies, new ventures, and new thinking. Horowitz says that people often ask him why big companies have trouble innovating while small companies seem to be able to do it so easily. Big companies have plenty of great ideas, but they do not innovate because they need a whole hierarchy of people to agree that a new idea is good in order to pursue it. If one smart person figures out something wrong with an idea, often to show off or to consolidate power, that’s usually enough to kill it. This leads to a Can’t Do Culture. The trouble with innovation is that truly innovative ideas often look like bad ideas at the time. That’s why they are innovative. Until now, nobody ever figured out that they were good ideas. Creative big companies like Amazon and Google tend to be run by their innovators. Larry Page will unilaterally fund a good idea that looks like a bad idea and dismiss the reasons why it can’t be done. In this way, he creates a Can Do Culture,” said Horowitz. In the very near future, the naysayers about inbound or digital marketing will likewise find themselves on the wrong side of history. We are living in a marketing revolution that will be dissected and analyzed a few decades from now. The latest wave of technology advances in mobile devices and analytics has revolutionized the way prospects, customers, and businesses interact. It’s a sea change and without a steady hand at the tiller, companies and marketers are in danger of letting the wave pull them under. But along with the danger and the vigorous rowing to stay afloat, comes unparalleled opportunities to really know and track prospects and buyers. Not by gut. Not by speculation. But by behavior. To be a marketer in today’s digital world is thrilling for those who know how to sail, and disastrous for those who refuse to learn. And, yes, these new marketing technologies have had their fair share of naysayers and criticizers. Some of it is justified. Quite frankly, the supporting technologies for digital and inbound marketing are evolving so rapidly that best practices are being adjusted even as they are being written. Just ask any SEO person how challenging it is to keep up with Google’s latest algorithm. But the beauty of inbound and digital marketing is how quickly changes can be made to accommodate new technologies and the data mined from analytics. 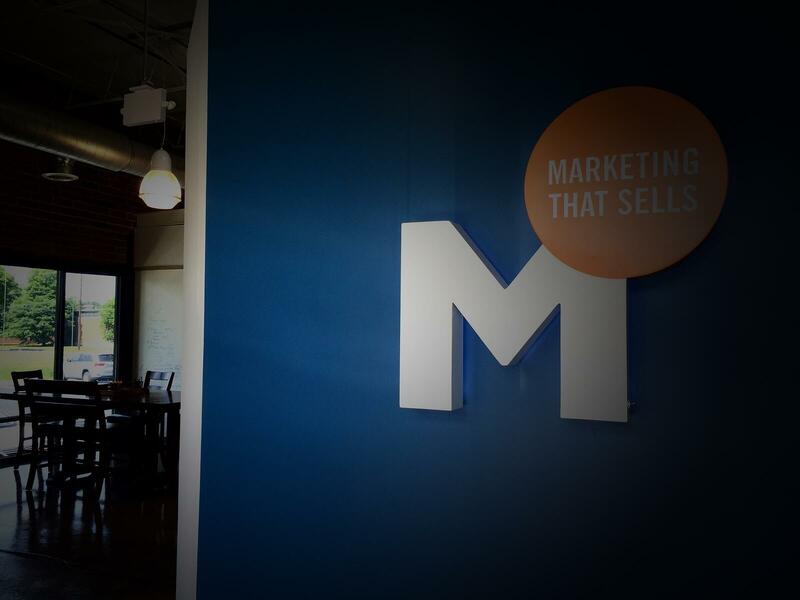 Barely a dozen years ago the skepticism about inbound marketing for B2B companies was dismissive and pervasive. Companies find prospects, not the other way around. Businesses need to control the sales process. Even today there is still some skepticism about the effectiveness of inbound marketing. But let's look at the facts. More than 58% percent of B2B prospects start their search for products and solutions online. This is a solitary process. It's a person with a computer or mobile device controlling the search terms, which search results to explore, and how long they stay and "listen" to what a company has to offer. When brick and mortar ruled the world, websites did not have to be more than static brochures because the technologies were not yet invented to make websites the powerful force they are today in marketing to prospects and serving customers. But now those technologies do exist and are being used by your competitors to draw prospects to their site and nurture them through the buying cycle. More often than not, a website is more of a doorway to your business than the brick and mortar doorway. Businesses need to control the digital sales process. Control? It's all in how you look at it. Businesses are in complete control of how they message to prospects, how they SEO their websites and content, and how they distribute content. Businesses can also mine the data to learn (and influence) how prospects navigate through their site and how frequently they return. But ultimate control sits with prospects. They choose where to engage. And while prospects choose where to engage in their digital search, companies are choosing where to invest their money in preparing the way for prospects to find THEM. Is it difficult to be a marketer these days with the breathtaking pace of change and some lingering skepticism about the digital marketing revolution? Yes. But I wouldn’t trade it for the world. These new technologies allow us to help clients in ways that were unimaginable just a few years ago. These new technologies have turned wishful thinking about “getting into the mind of the prospect” into “Can-do” processes that do just that. As with any new revolution, there are some battle scars and few overnight victories. But it’s a thrill to be guiding and working with our clients with a “Can-do” arsenal of tools to develop the right strategies, channels, content, and analytics to find, engage, convert, and win the hearts (and business) of their prospects in this brave new digital world.